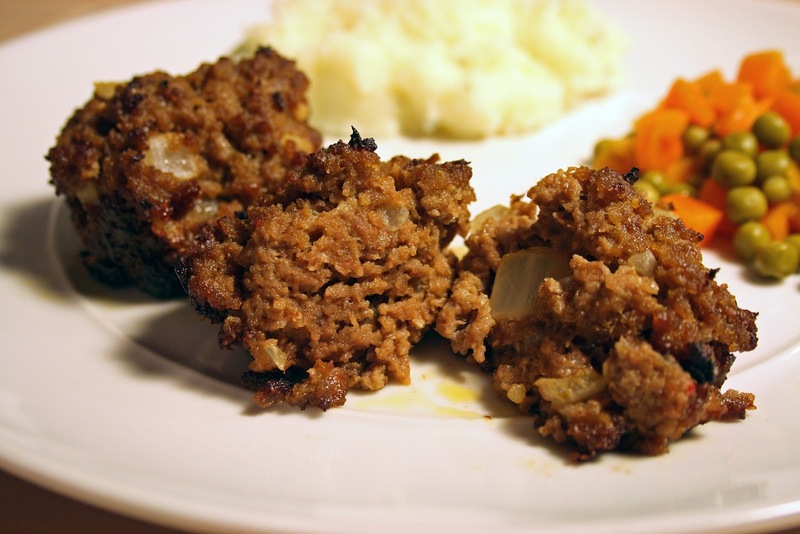 Sometimes changing up a traditional dish, like meatloaf, makes dinner a little more fun and interesting. Barbecue Meatloaf Muffins actually puts two twists on the classic meatloaf by turning them into muffins, and by adding barbecue sauce. These muffins were surprisingly easy to put together, and the bake time was only 20 minutes. I had dinner on the table by 6:30pm, which is a rare occurrence. Heat the oven to 450F. Grease a 12-muffin tin with non-stick cooking spray. 1) In a large bowl, combine ground beef, chopped onion, the egg beaten with milk, bread crumbs, and grill seasoning. Add the barbecue sauce and Worcestershire sauce. Mix well with hands. 2) Using an ice cream scoop (or a large spoon) fill each muffin cup with the meat mixture. Top each muffin with a small spoonful of extra barbecue sauce. 3) Bake meatloaf muffins for 15 to 20 minutes. Cut one muffin open to ensure that the middle is cooked through. 4) Serve with extra barbecue sauce or ketchup, if desired.